I am a big fan of Kale -it is great in smoothies, it makes great Kale chips and it is lovely in Colcannon.It looks attractive in the garden and is a superfood so we all should try growing kale.That’s because the vitamins offered by just one cup of this relatively little-known veggie can trump a whole week’s worth of other foods: 684% of the daily value of vitamin K, 206% of the suggested daily amount of vitamin A, and 134% of vitamin C (and even more vitamin C in the Scottish curly-leaf variety). 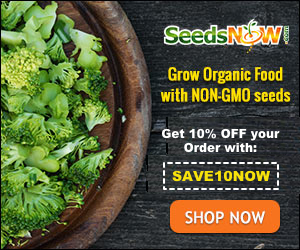 This page may contain Affiliated Links these help you find goods and helps us by more seeds for the garden at no extra cost to you. Why should you try Growing Kale? You shouldn’t be without kale for a whole host of reasons. First, it suffers less from pests than most brassicas. While kale isn’t immune from pests, it appears much less attractive to the caterpillars. The curly-leaved varieties withstand the cabbage white butterfly’s attention best, probably because its leaves make it harder to lay eggs. The benefits don’t stop there. Decorative and pest-resistant, kale needs very little attention, is very hardy, and actually, improves in taste with frost. Plants can be harvested almost continuously (growth does slow down in the cold and dark months) We have 8 plants which give our family of 4-ish a great supply. They last throughout the winter, produce leaves early in the spring and when they eventually start to produce flower buds, these too can be eaten before they open, like broccoli. The only places you can’t grow Kale is hot climates. Not a problem for us here in Ireland kale prefers cooler temperatures of 60-70°F, 15-21°C. Although it will tolerate drought and hot weather, both will affect its quality and can encourage bolting. It does, however, tolerate partial shade and, if you do live in a hotter climate, you may like to try it in shadier spots, but heat can make kale taste bitter and collards are recommended for warmer areas. Kale has been compared to beef, which is known as a “go-to” food for iron, protein, and calcium. Kale’s anti-inflammatory capabilities are unrivalled among leafy greens, especially relating to the prevention and even reversal of arthritis, heart disease, and several autoimmune diseases. Normally kale can be sown from April to late-June. You can even sow in March provided it is under cloches, frames or fleece. For all varieties it’s a good idea to make successional sowings, allowing you harvest continually while the veg is young and tender. In Autumn you can pick up plants to transplant into the garden from your local Garden Centre. Kale will grow in almost all conditions. Although it can tolerate shade it will, of course, do much better in a sunny spot. Shelter from the wind is also beneficial. For a really good harvest, you should try to avoid growing in soil that becomes waterlogged or conversely dries out rapidly. Also, Kale can be grown in pots if you are short on space. Kale doesn’t grow very well in a strongly acid or strongly alkaline soil. Most essential vegetable nutrients in the soil are soluble and available for use at pH levels of 5.5 to 7.5. Most vegetables grow best within this range, as is the case with kale where 7.0 is about optimum. If the pH (relative acidity or alkalinity) of your soil is not suited to the vegetable, then soil nutrients such as Nitrogen, Phosphorus, Potassium, iron, boron, copper, manganese and zinc start to become unavailable, leading to poor crops. You can use a simple home soil test available through Amazon or most garden centres to determine your soils ph. By taking account of the test results you can then decide how much if any amendments are required to bring the to pH of your vegetable garden soil in line. If sowing into the ground, rather than in pots, sow thinly about a half inch deep (1 cm), in rows six inches (15 cms) apart. As they grow, thin to around 3 inches (7.5 cms) apart. Transplant when the seedlings are around 4-6 inches (10-15 cms) tall. Place them 14-20 inches (35-50 cms) apart in rows 18 inches (45cms) apart. Bury the stems up to just below the level of the lowest leaves. Tread the soil down around the base of plants firmly. Start harvesting when the plant is around 18 inches (45 cms) high and has reasonably sized leaves, but you could start earlier for salads and stir-fries. Take a few leaves at a time from each plant. If you remove the head which you can normally do in late autumn, then side shoots start to develop. These are great when eaten young, about 5 inches (12cms) long. Enjoy you Kale in stir-fries and try it the Italian way, steam your kale leaves until tender, then in the last minute or two of cooking add a dash of olive oil, some crushed garlic, breadcrumbs, and a grating of Parmesan cheese. I also have this tasty Fabulous Gluten free Kale and Mushroom Pasta.you can try. Prepare your kale, remove and discard thick stems, and tear leaves into large pieces. Spread leaves in single layer on 2 large cookie sheets. Spray leaves with nonstick cooking spray to coat lightly; sprinkle with salt. Bake kale 12 to 15 minutes or just until kale chips are crisp but not browned. Cool on cookie sheets on wire racks. I’m convinced ! Let’s grow kale! I think that it is a great idea, mostly because I love Kale and the fresher the better.